Join Museu da Crise and Good Societies for a round of Commonpoly! 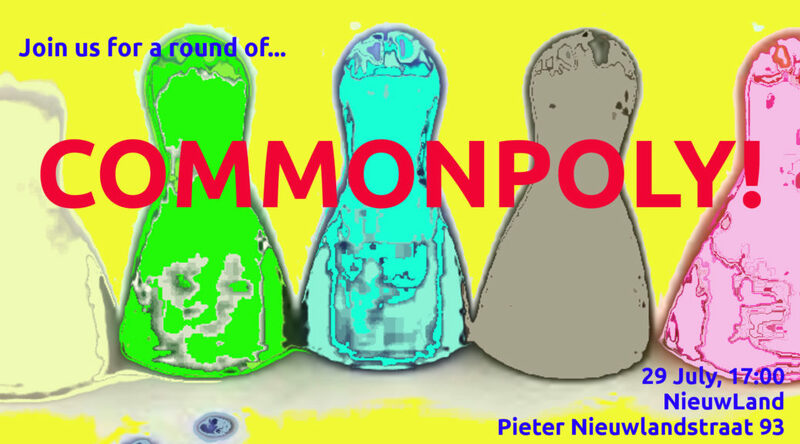 Commonpoly is an experimental ruleless game. It was developed to get us thinking about money and the economy, to help build a ‘good society’. In Commonpoly, each participant plays a predefined character that either can generate income or not. Players get the opportunity to introduce and change the rules of the game in General Assemblies. The ultimate goal of the game is to create a situation where all players can make it through their rounds, living well, meeting not just needs but also desires, and figuring out how on earth to get there. Hosted by Good Societies and led by Merel and Daniela.